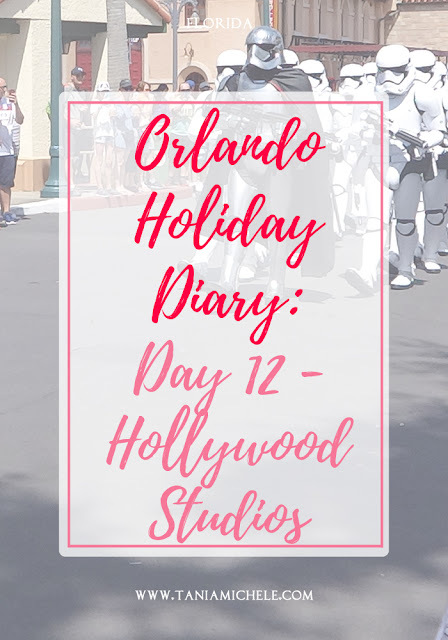 Tania Michele: Orlando Holiday Diary: Day 12 - Hollywood Studios! 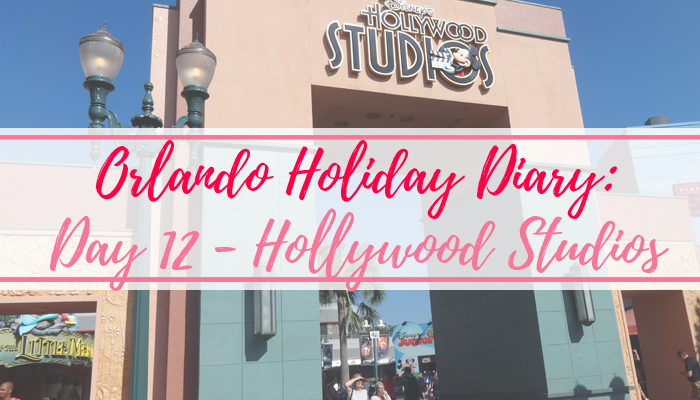 Orlando Holiday Diary: Day 12 - Hollywood Studios! Today we decided to head back to Hollywood Studios, even though we'd done most of the park already! We got there a little earlier this time, but it was still busy, but we were able to get straight into the park, and headed over the Hollywood Tower Hotel first! We walked straight onto the ride, and then rode it a second time with our fastpass! After the ride, we went and had a look around the shops for an hour and found the original Pink Power Ranger outfit from the MMPR days when it was Kimberly! Our next fastpass was Toy Story Mania, which was still a 15 minutes wait time, even with the fastpasses! After Toy Story Mania, we had an hour to kill before the Indiana Jones Stunt Show, so we sat in the Star Wars Launch bay for a nice sit down and to catch up on social media on our phones with the free wi-fi! After that, we headed to see the stunt show, and thankfully with our fastpasses, we were first in the line, so got really good seats this time, right at the front - just behind the tech pit, where the crew were working the music and the set design. After the stunt show, we went to get a drink from a cart and then left the park. On the way out, we caught a part of the Captain Phasma's March of the First Order, which was really good, watching them parade down the main street to the stage. We'd got to this area a little late so couldn't get near the stage to watch properly, so we ended up leaving still.